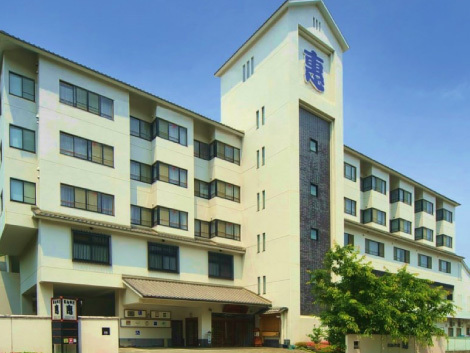 Japanese-style inn with a hot spring of the relief which makes the feelings feel though it's comfortable modern architecture. 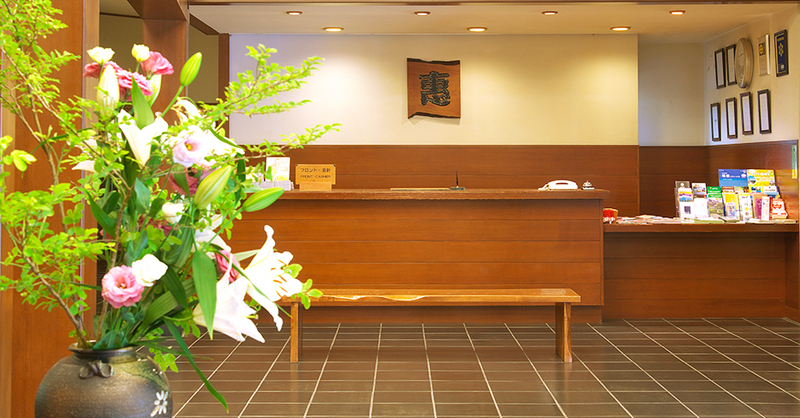 At Megumi, the spirit of good service for guests is our first priority. We try our best to meet various needs of our guests including families with small children and elderly people. Enjoy our relaxing atmosphere, seasonal cuisine using fresh local products, and our fine-tuned hospitality. 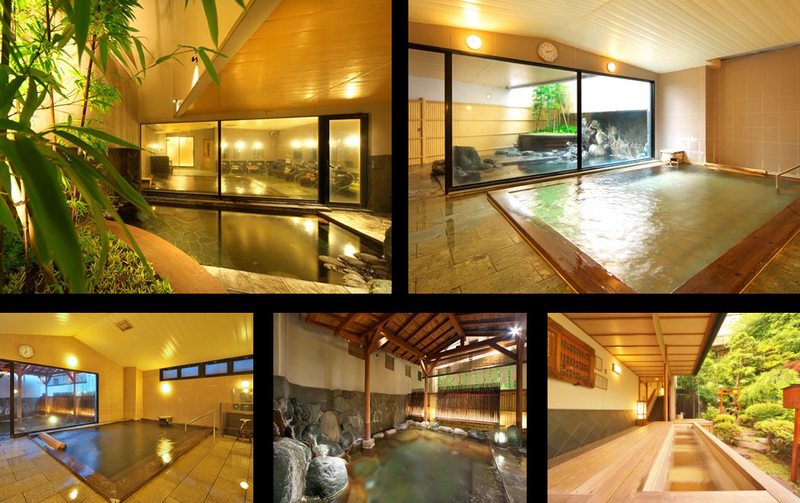 Yugawara is a historical hot springs town that also appears in “Manyoshu”. the oldest anthology of short poems compiled in 7th to 8th century. 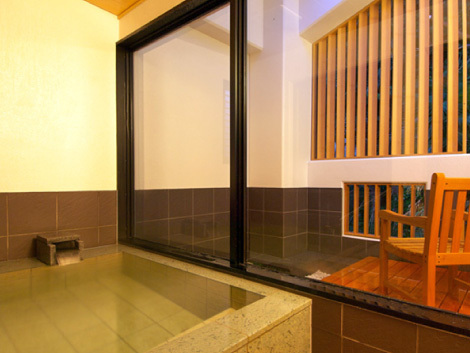 Indulge yourself in one of the best hot spring water in japan. 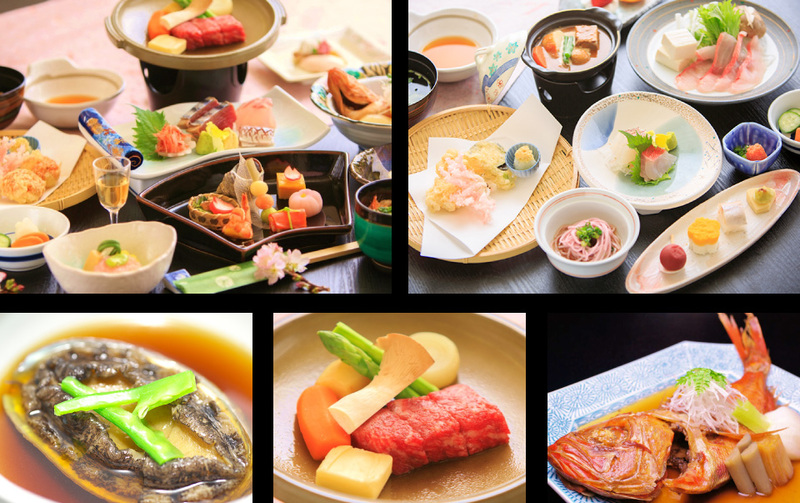 Enjoy our fresh local delicacies from the sea and surrounding mountain area. You can try our restaurants, or your dishes can be served in the privacy of the guest room. We have a villa of two special rooms with open-air private spas and two reserved bathrooms. The whole villa area adopts universal design that is comfortable for every age and various needs. 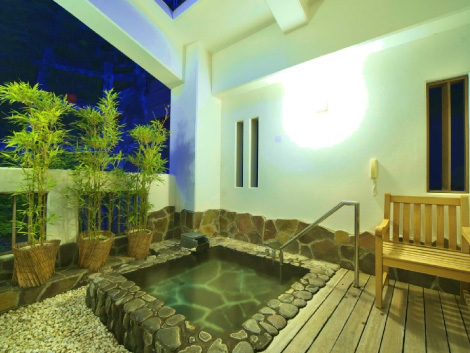 You can have the pleasant fresh hot spring water all to yourself with the view of small garden and mountain scenery in this reserved open-air spa. For small children and elderly persons, you can also shut out the open air by closing the glass door. Getting off at "Risokyo" →1 minute on foot in a direction of movement and on the right side this road. Copyright © 2015｜いきな湯河原・いなせなお宿｜温泉旅館　おんやど恵 All rights reserved.